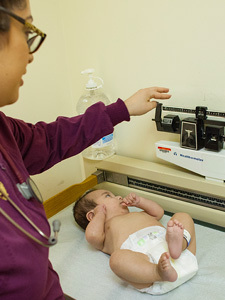 Women, Infants and Children (WIC) is a supplemental nutrition program that helps low income women, infants and children (up to five years of age). WIC benefits include individual nutrition counseling, group nutrition education, breastfeeding education, and supplies, monthly food coupons and cooking demonstrations. We work closely with family case management to educate women and providing them with the knowledge and tools to raise healthy, prosperous children. For more information, call 773.843.4220.